Who discovered the science behind rainbows? Why do two rainbows occasionally develop? Why are the colors always in the same order? 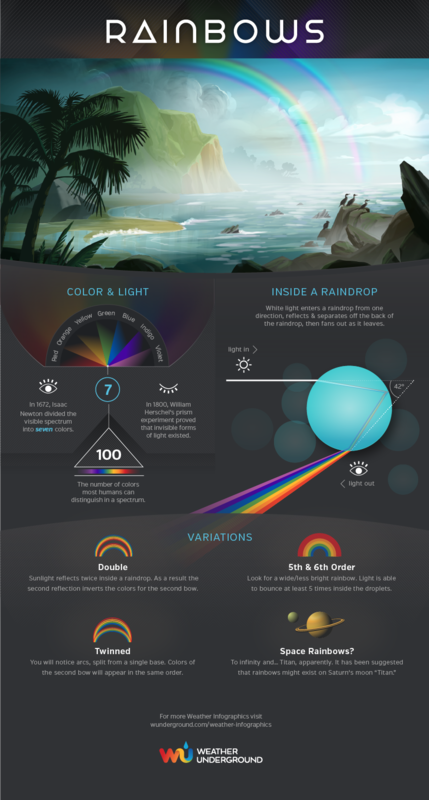 All your rainbow questions answered here in the rainbows infographic by Weather Underground.